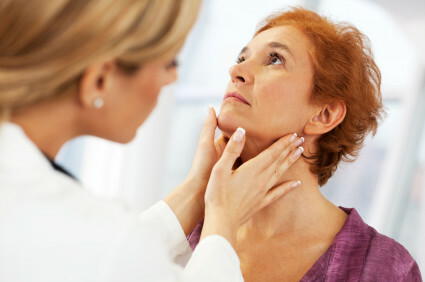 An optimally functioning thyroid is important for many reasons. A low functioning thyroid can result in difficulty burning fat, dry skin, dry hair, constipation issues, depressed mood, low energy, cold intolerance, etc. Sadly, a low functioning thyroid is overlooked quite often. Traditional medical care is usually focused on lab values and not on the patient. Every person is unique and the optimal level of thyroid hormones for each person is often different from what the labs have determined is “normal”. The “normal” values that you are compared against are basically the average numbers that were determined by testing a sample of the population. But what if those people were not optimal? And, what if your body requires a different level? If you have symptoms of a low thyroid but your lab values are “normal” do you just ignore it? If you are the type of person who takes control of your health, than the answer is no! There are always risks to taking action and also to not taking action. Addressing low functioning thyroid symptoms when your lab values are “normal” is a personal choice and it can be done safely under the guidance of a physician trained to think outside the box. This is what integrative customized medical care is about—figuring out what your body needs and helping to guide you to optimal health.